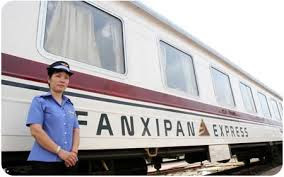 Fasipan Express Train accommodate 56 berths with 2 berths and 4 berths deluxe cabins, accompanied by the hospitality of Fansipan express train staff. The enchanting luxury, the comfort facilities of the wood-panelling cabins will make your stay in these carriages memorable. 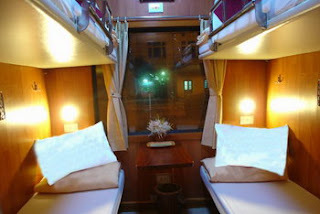 Passengers are to hold the best opportunity to relax or simply let the beauty gliding over your spacious windows. Luxury, inspiration and refreshment are main character of these carriages. A Private deluxe Fanxipan 2 berths cabin create an intimate space for couples with 2 berths only. These cabins are lovingly designed to for those who desire to have the privacy with remarkable interior decor. They are the epitome of a small observation car.